Aiea Loop Trail at Keaiwa Heiau State Park :: oahu hawaii. oahu hikes. 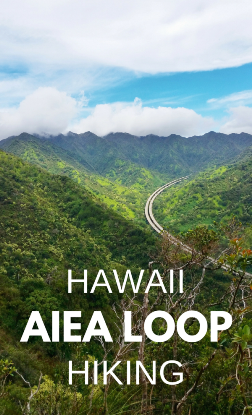 The Aiea Loop Trail is a hiking trail that’s located towards the back of the Keaiwa Heiau State Park. It’s a little less than 5 miles long, and you’ll want to allow 2-3 hours to complete it. This is another hiking trail that’s less frequented by tourists if you’re looking to get away from the more crowded Oahu beaches! This trail will keep you on your toes with the variable terrain and tree roots along the path that will keep you from getting bored! There are a few areas of narrow paths with a steep drop off on one side which can look a little scary if you’re afraid of heights! Many locals consider this trail to be family-friendly, but it could be considered difficult for kids in some parts because of the areas of steep inclines combined with loose gravel and dirt. This is not the majority of the trail at all, but still something you may want to consider. 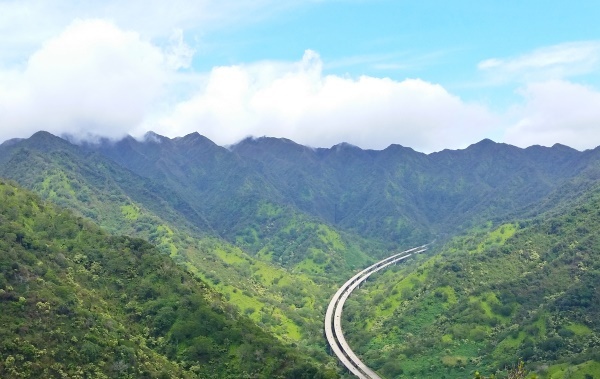 But you’ll get amazing views when hiking the Aiea Loop Trail! 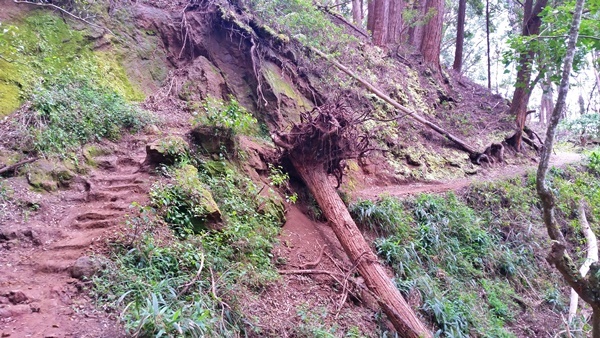 It’s best not to do this trail after it’s rained, as it could become very muddy. That can make for dangerous conditions as well. Even if it hasn’t rained recently, there may be muddy parts, so have a spare pair of socks or sandals in your car so you can get out of your muddy footwear! You’ll want to wear proper shoes with traction for the best experience on this trail. See hiking gear essentials for more on what’s ideal to have with you on a hike. To decide if the Aiea Loop Trail is a hiking trail that you want to embark upon, have a look at the Yelp reviews! How long does it take to hike the Aiea Loop Trail? 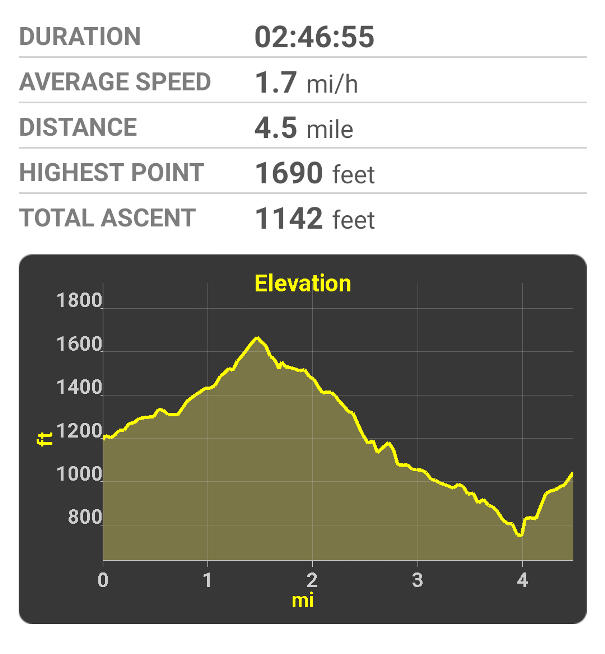 Here are my stats from the Aiea Loop Trail with time, distance, and elevation. (You can see some more pictures there too.) It took me just under 3 hours. I’d say I was walking at a pretty leisurely rate (slow!) and I got passed a couple of times. In the 1940s, a military plane flew into the mountain range, and the remnants of the plane crash still exist today on Aiea Loop Trail. However, it requires an adventurous spirit to find the plane on the trail! (As well as plenty of caution!) The crash site is not marked, so it’s up to you to locate it! Learn more about finding the Aiea Loop Trail plane crash location. Since Aiea Loop Trail is at Keaiwa Heiau State Park, you can also have a quick visit to the Keaiwa Heiau when you go for a hike on the Aiea Loop Trail. When you arrive at the park, you can’t miss the heiau! 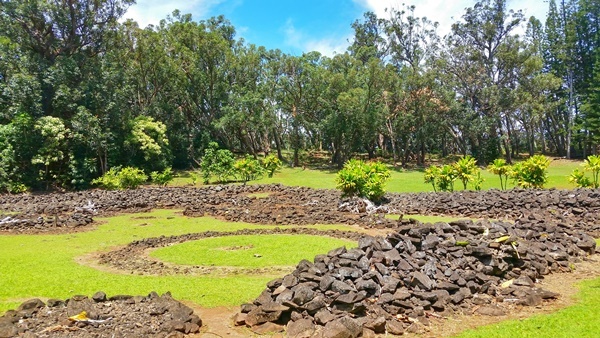 A heiau is an ancient Hawaiian temple, and you’ll see the site of the heiau immediately upon entering the park. This state park and hiking trail is good to add on to your schedule when you have a few hours to spare after a visit to Pearl Harbor. The state park is about 20 minutes from Pearl Harbor. 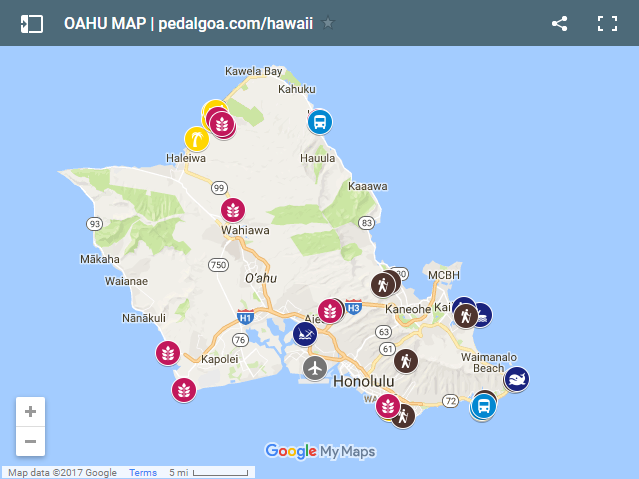 Explore this Oahu map below to further plan your day with the Aiea Loop Trail on your itinerary!